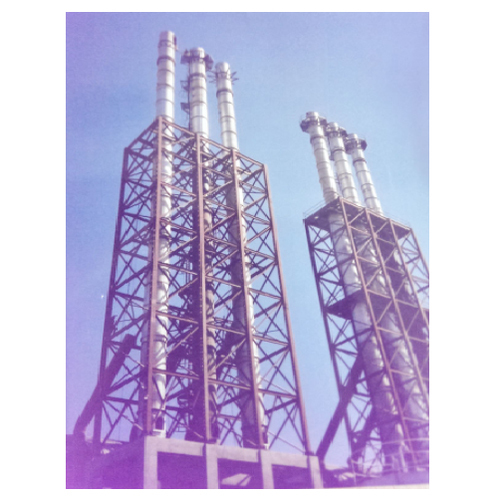 We have developed Industrial Chimneys with the integration of sophisticated technologies to make them highly suitable to get ventilation for hot flue gases or smoke from a boiler, stove, furnace or fireplace to the outside atmosphere. These are generally installed to the flue gas stacks and are generally external structures, as opposed to those built into the wall of building. 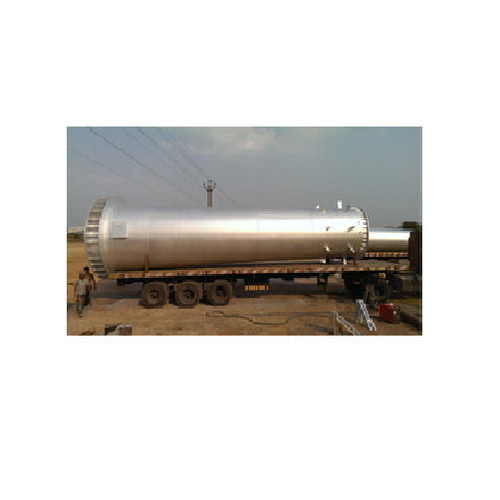 At the time of designing these chimneys, we do consider factors such as height and diameter, required amount of excess combustion air needed to assure complete combustion, material as per the specification of our clients. Our range of M.S. Self Supported Conical Chimneys are in great demand for their robust construction and broad opening with built from finest material available in the market. These are widely demanded for venting hot gases and height up to 30 meters. It provides precise ventilation for hot flue gases or smoke from furnace, boiler or fireplace to the outside atmosphere. These conical chimneys are made from finest raw material and can handle huge smoke pressure with ease. We find their usage in metal industry, chemical industry, refinery plants etc. We are engaged in offering finest range of M.S. Structure Support Chimneys that come with support structure, which is generally made from steel alloy and upholds the chimney pillar. The chimneys have to withstand tough weather conditions and structured support provides strength to given pillars. These are quality proven structure and are made from mild steel with relatively easy installation and available at reasonable price in the market.